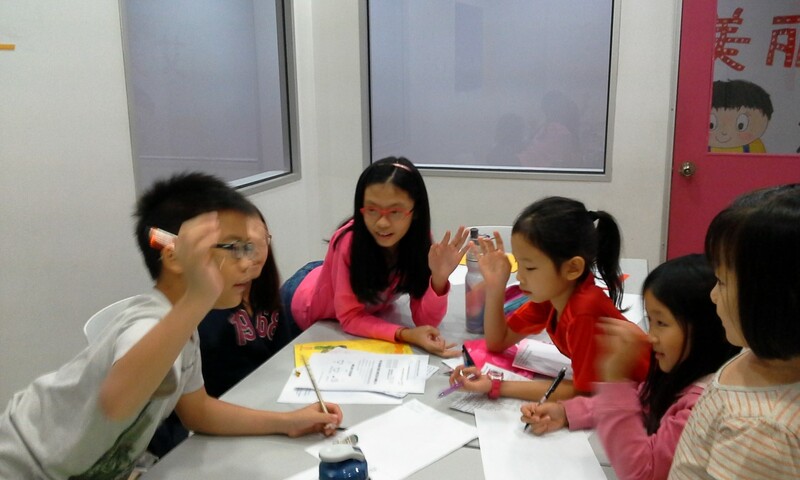 Bright Minds Lapbookers is Singapore's first interdisciplinary programme. This highly popular class, conducted in English, employs a literature-based, interdisciplinary thematic learning approach, specially designed for children between the ages of 3 and 9 years. We promote a language-rich environment that inspires a passion for learning in our young children. Children learn best when learning is engaging! The comprehensive curriculum ensures every child is stimulated and challenged in their learning of the English language, Mathematics, Science, Current Affairs, General Knowledge, Geography and cultural appreciation and so much more! In every term, our young minds are exposed to Language Art activities such as art and poetry appreciation, rhymes and stories, crafts and other fun-filled activities that encourage independent exploration, inquisitiveness and critical thinking. The exposure to texts of different literary genres makes reading delightful, relevant and meaningful. Through our literature-based learning process that encourages discussions in every lesson, students are also guided to express their views and thoughts, which are key to honing strong critical thinking, communication and comprehension skills. As a result of the way lessons are facilitated and our carefully designed activities, students will pick up strong reading skill and a vast vocabulary. Students learn to appreciate stories of different genres and themes and be more motivated to read independently. 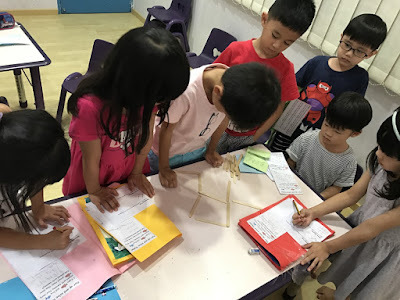 Our interdisciplinary activities introduce Math and Science concepts in ways that will pique children's curiosity, strengthen their understanding and application of Math and Science concepts. Through interactive activities and active participation, our young children are motivated to listen, explore, discover and think for themselves as they apply concepts to individual tasks and collaborative project work. For every lapbook, students get ample opportunities to work in pairs or groups of three. They are presented with unique scenarios which require them to work collaboratively, hold discussions, problem-solve and give presentations to their peers. Through this highly interactive process, they acquire and hone life skills that will take them far and beyond their preschool years. The wide range of activities ensures every preschooler graduates with a strong foundation in English, ready to embrace the demands of the Primary school curriculum. Our lower Primary students are also well-poised to excel academically as they are exposed to weekly challenges that accelerate their learning and stretch their abilities. In addition to the unique learning experience, students take home a lapbook that showcases some of the tasks that they have accomplished in class. We are firm believers that learning does not end when students leave our classrooms. To ensure continuous learning and effortless reinforcement at home to achieve greater success, we update parents of their children's learning through a weekly Lesson Guide. Every parent will also get regular consultation times to understand their children's progress, strengths and weaknesses. An individual learning path is mapped out with guidance and suggestions for parents to consider, so we can actively help every child reach his/her potential. Also check out what other parents said about our programmes. Interested? 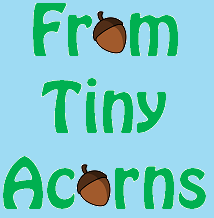 Email from-tiny-acorns@hotmail.com for class schedule and vacancies. Also learn more about Bright World Thinkers for age 9 to 11 years. Click HERE.